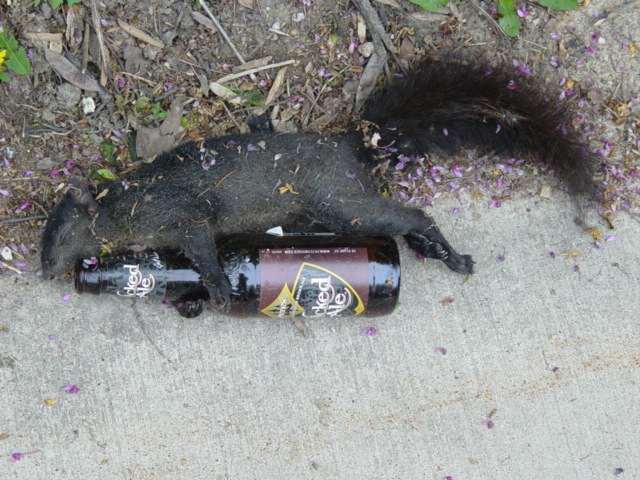 This squirrel was found on the campus of Augustana College on Sunday, May 2nd, 2004. No, I didn't do this. Thanks to Emilie for the pic.